Uniqueness, emotion and passion are Boca do Lobo’s important keywords. The colours and the refined materials of its astonishing décor pieces are the principal features of this luxury Portuguese brand. Skyscraper floor lamps are no exception. In fact, they are one of the most original and exquisite décor pieces. With an unmistakable presence beyond its mere functional characteristics this lamp adds a classical appeal to any setting. 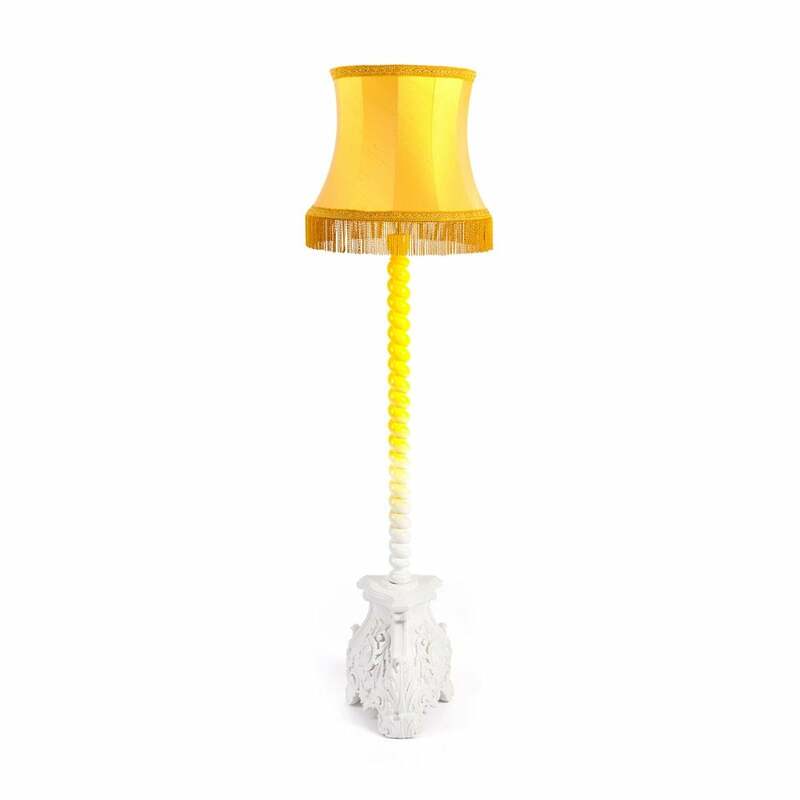 Delicately hand carved mahogany base with a fringe lamp’s shade, Skyscraper’s base is brilliantly finished in a white lacquer with a gradual colour transition to yellow. PRODUCT OPTTIONS Base: Finished in a white lacquer with a gradual colour transition. Custom colours available with an upcharge.